Tiger Woods took Augusta, Georgia, by storm over the weekend, winning the 2019 Masters tournament on Sunday. Woods won his fifth green jacket, finishing 13 under par after 72 holes at Augusta National Golf Club. The victory marks a remarkable return to form for the 12th-ranked golfer in the world. 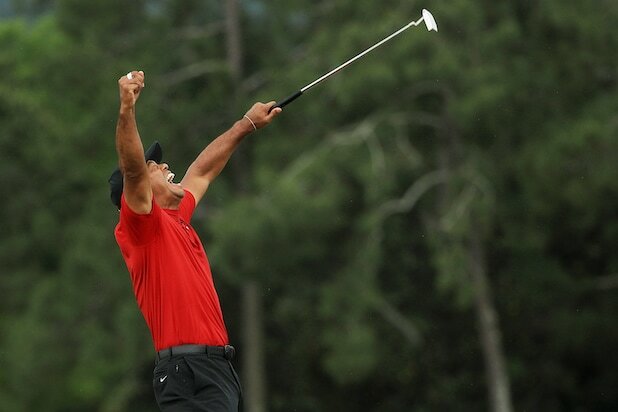 This Masters win is Woods’ fifth title, giving the 43-year-old the second most Masters titles, separating him from Arnold Palmer and putting him just one behind the most decorated Masters champion in history, Jack Nicklaus. Before Sunday, Woods hadn’t participated in a Masters tournament since 2015, and he hadn’t won since a decade prior in 2005. On Sunday, however, in his signature red, showed off how dominate fans were used to seeing him. The win is Woods’ first major championship since 2008, when he won the U.S. Open. Woods has now won 15 major titles, the second-most all time behind Nicklaus’ 18 majors.